Bob Sturm (@SportsSturm) is a Wisconsin-native and longtime co-host of BaD Radio, which airs from noon to 3 p.m. on the radio home of the Dallas Stars, 1310 AM/96.7 FM The Ticket. Sturm came to Dallas in 1998 and hosted the Dallas Stars postgame show from 1998-2013. Sturm is known for his encyclopedic knowledge of sports and both his passion for and knowledge of the game of hockey are evident. With this in mind, The Hockey Writers asked Sturm to answer a few questions about the Stars’ upcoming season, their playoff aspirations and the lingering questions going into 2015-16. The Hockey Writers: Let’s start broad; the Stars have gotten league-wide recognition for their offseason moves. Most see them as having traded, bought, and developed their way back into the postseason, even as members of arguably the league’s toughest division. Do they get in, and by how wide a margin? Bob Sturm: Very difficult to say with any degree of confidence and, although I am accused of being a pessimist quite a bit, I will confess that this time of year I am dripping with optimism. I think the Stars will be in the playoffs (I said this last year, too), but, given the quality of the division and the conference, we better not fool ourselves into thinking it will be with great ease. In, but I can’t fool myself into thinking they will be a top-four seed. If they are in the 5-8 group, then it likely is a <5 pt margin. 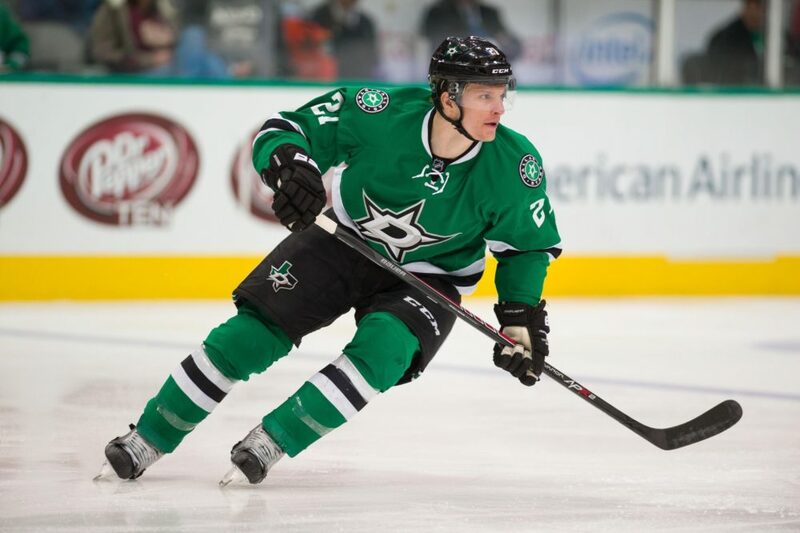 THW: The fast, offensive-minded Stars of today are a far cry from the teams of the late 90s and early 2000s; while Antoine Roussel certainly plays with an edge and a handful of Stars can hold their own with the gloves off, it would be a stretch to say they have a definite physical presence. 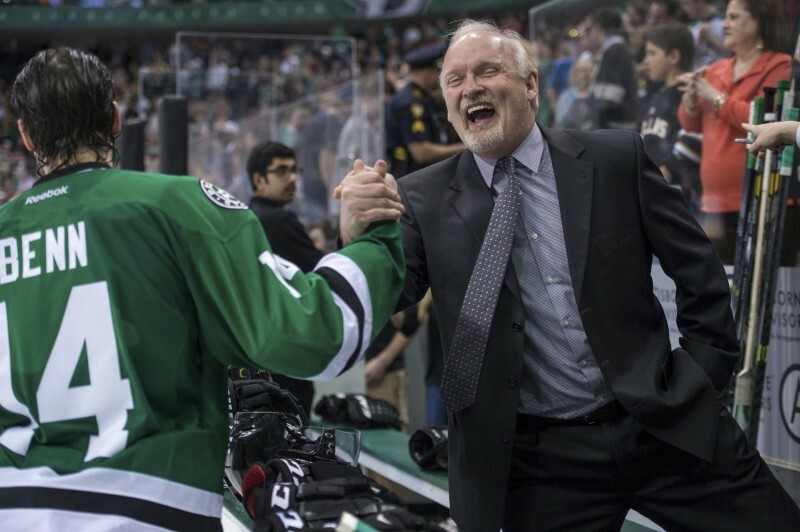 While that’s largely a product of today’s NHL, is that something they’re lacking, and did Jim Nill admit to that to some degree by demanding Stephen Johns in the Patrick Sharp deal? BS: I think that there is a great divide in thinking between organizations about where this league is headed with regards to “physical presence” vs “puck possession.” I think the Los Angeles Kings and the Chicago Blackhawks have taught us you better be able to strike a balance. You better not have a blue line of knuckle-draggers or small puck-movers. You need a balance and preferably players that can do both and handle whatever the game brings. But, I did think the Stars were on the brink of getting too small a few years back and tried to make sure they curbed that quickly with the infusion of players who were both bigger and more abrasive. Right now we are at a pretty good spot, especially if Johns is ready. I still am not crazy about teams taking runs at Klingberg and Seguin, but the better the team gets, the more we should be prepared for teams to deal with the Stars’ skill the old-fashioned way. I don’t think they are lacking “toughness,” but I also think they should expect to be challenged to prove they can answer those challenges. Very little actually means fighting, but you better have remedies available for those physical attacks. Losing Seguin for a dozen games means the playoffs. THW: With Val Nichushkin coming back into camp healthy, where does he slide in? What does he need to show in camp and preseason for Lindy Ruff to run him alongside the thoroughbreds on the top line as he often did during his rookie season, and how do you see his year playing out? BS: It is obviously a huge year for Val, and I hope he is prepared. 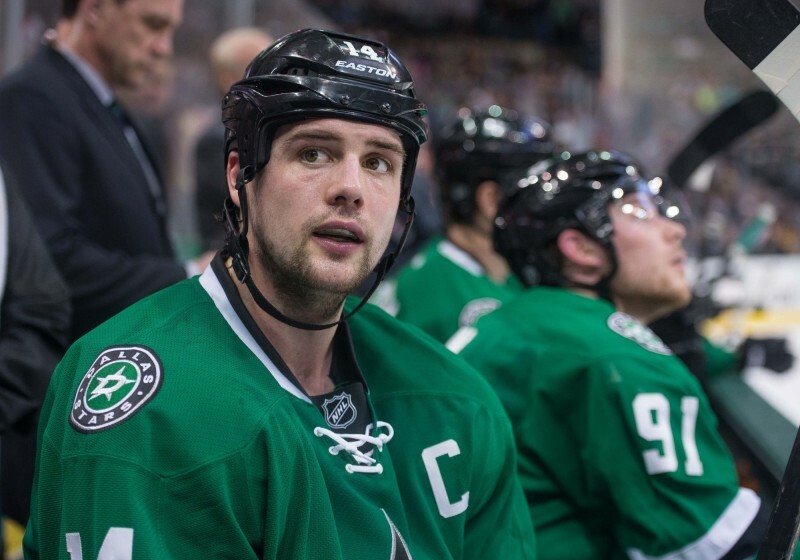 The sky is still the limit, and the idea of him next to Jason Spezza and Ales Hemsky is fun to imagine, but it is “go” time for him to start showing that he can score at the top level. On one hand, we must all show great patience, but on the other hand, his money situation is going to require the Stars to determine his ceiling quickly. Do you give him the big cash to secure his future? Only if he distinguishes himself in short order. THW: While the defense is often the object of fans’ displeasure, the goaltending last season was nothing short of dismal. 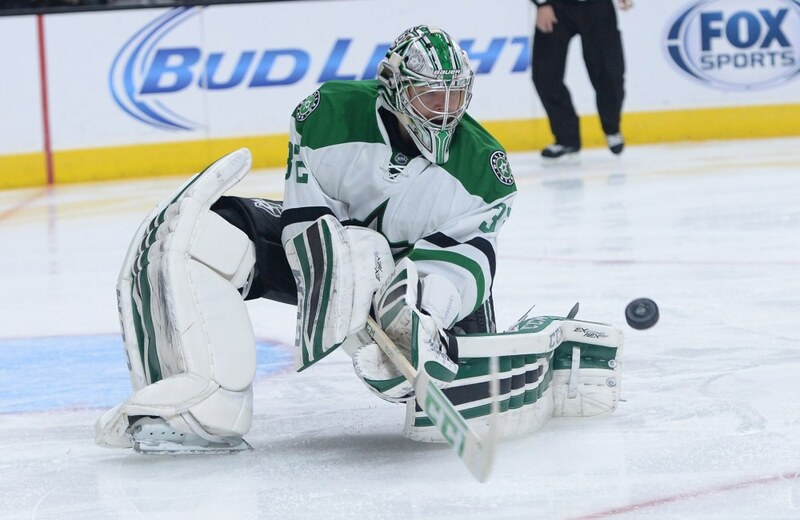 How short is Kari’s leash, and will Nill’s two-goalie system play out the way it’s predicted to on paper? BS: I think he is on an exceptionally short leash. This team is done waiting on Kari Lehtonen. Antti Niemi is here to push him, starting in October. I have no problem with Niemi being No. 1 right away if the team feels the need. The contract is given and signed. But, the season should be about the best man between the pipes, and I start the year with them on equal footing. May the best man win and get 55 starts. THW: Can Hemsky rebound and play an effective top-six role this season, or is he destined to be a footnote when the history of the Jamie Benn-Tyler Seguin era is written? BS: I think his hip’s health will go a long way to help him make a better impression. He showed flashes for sure. But, the Stars won a Cup with Dave Reid as a second-line winger, so I don’t feel too heavily leveraged on Hemsky either way. THW: Which prospect is more likely to be called up this season: Julius Honka or Esa Lindell? BS: I hope they are properly patient with Honka, so I will vote Lindell. I think Lindell seems close anyway. THW: We know you’re high on Johns; does he crack the lineup and make an impact this year? BS: I prefer he does. But, with Klingberg, Jason Demers, Alex Goligoski, Johnny Oduya, and Patrik Nemeth, I suppose it boils down to Johns/Jordie Benn/Jyrki Jokipakka. If I have that right, he has his work cut out for him if everyone is healthy. In fact, they might try to get him 25/30 minutes [with the Texas Stars] until somebody gets hurt. But, I hope they show some faith in him. Jordie is a seventh for me, so then we are debating Jokipakka vs. Johns. I think Johns has a higher ceiling, but Joki has a huge head start because he was solid last year. THW: Who are your “just spitballing” defensive pairs coming out of training camp? BS: Goligoski and Klingberg, Oduya and Demers, and Nemeth and Johns. Hmmm, not sure even I agree with that. THW: If it were up to you, who would wear the As this season? 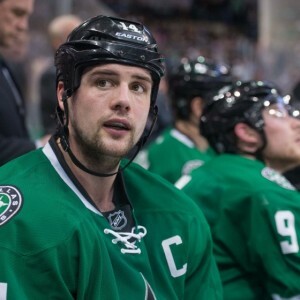 THW: While Jamie Benn is a bonafide, do-it-all superstar who will in all likelihood continue to go for a point a game, 87 points is a pretty steep climb. How will he respond to his Art Ross-winning campaign? BS: I assume by destroying anything in his path. Little concerned with this hip, but can’t wait to see his encore. THW: How real is Seguin’s shot at the Richard Trophy as long as Alex Ovechkin and Steven Stamkos exist in this league? BS: Those two live in their own universe. 91 passes too much for this, I think, but that makes him more dangerous. I think Seguin is a fantastic player, but the Richard trophy might not be his best way to play. THW: Klingberg has been a revelation on the blue line, and the seven-year contract he signed seems to be mutually beneficial. How high is his ceiling? Does he have what it takes to be a true No. 1 defenseman over the course of a career? BS: I don’t know. A true No. 1 for me is your best D-man on both ends of the ice. Is he merely your best offensive D-man? If so, that is great. But, to be a Norris guy in a non-Canadian market, you better be able to play 27 minutes against the top line they throw at you. That is his next test but, again, if he just plays like he did in his rookie season, they got a great deal, in my opinion. THW: More than a few people speculated that Jamie Oleksiak could be on his way out in a trade this offseason, but he settled for a one-year deal and stayed put. With prospects in the pipeline maturing and a his career off to a lackluster start, what does he need to do to earn a place on this team beyond a seventh defenseman? BS: Try to play up here like he is not a deer in headlights. That is very tough for certain players, and he may be in that group. He just always looks like he is thinking through everything, rather than playing with instincts and confidence at this level. He has to shake that but, often, that comes with a change in scenery. I really want him to be good here, but the organization looks like they are done waiting, and now his only path here is breaking the doors down on merit. They won’t rely on his future any longer. 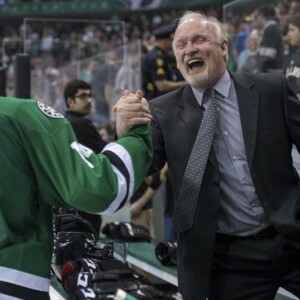 THW: Lindy Ruff was brought in to be a critical part of turning this team back into a contender, and the events of last season were largely out of his control (poor goaltending, injury, etc.). If the team doesn’t live up to expectations this season, how much faith does the organization continue to show in him? BS: I imagine, due to the expenditures and the expectations, that his seat could get hot if the results are not there quickly. It seems ownership and management have tried to remove every excuse. I believe in Lindy, but I don’t think he can survive a 10-seed. So, I do not rule out an uncomfortable spell if they underachieve. THW: Any bold predictions for 2015-16 or final thoughts? BS: Given that this team is now a “cap team” thanks to an owner that has kept his end of the bargain, my only prediction is that this is a playoff team with high aspirations, and I am legitimately excited (more than usual) for the puck to drop. I can’t wait.